We are pleased to present CCI - Your Condo Connection, a video series touching upon an array of topics of interest for those involved in - or thinking about becoming involved in - condominium communities. Patrick Greco addresses the controversial issue of access to condominium records by unit owners. Communications specialist Sue Langlois returns to speak to host Murray Johnson about how to effectively communicate in condominiums. Mark Shedden speaks to host Murray Johnson about condominium insurance considerations in respect of water damages and vacation disasters. John De Vellis speaks to host Murray Johnson about workplace harassment in the condominium environment. Tania Haluk returns to speak to host Murray Johnson about the increasing challenge of online deliveries affecting condominiums. Dean McCabe speaks to host Murray Johnson about how to effectively use committees to foster community and to get things done - appropriately - in a condominium setting. Dean addresses common pitfalls that Boards should avoid in making use of committees. Tim Duggan speaks to host Murray Johnson about how condominiums can appropriately change contracts. Bob Vertatschitsch speaks about parking storage challenges in condos. Paul Pittana - a condominium loan specialist - speaks to the process of condominium borrowing, a financing process that is very different to traditional borrowing. Property manager Tania Haluk kicks off Season 3 of our popular video series by providing host Murray Johnson with tips for being a responsible condominium neighbour. Sally Thompson joins host Murray Johnson to speak about air flow in condominiums. Paul Belanger talks to host Murray Johnson about season changes in condominium suites. Mo Killu joins host Murray Johnson for a discussion about condo balconies. Denise Lash speaks to host Murray Johnson about the right of entry to condo suites. Quintin Johnstone joins host Murray Johnson to discuss condominium security. Michele Farley speaks to host Murray Johnson about fire safety in condominiums. Joy Mathews talks Airbnb and the leasing of condominium units with host Murray Johnson. Stan Morris joins host Murray Johnson to discuss condo pets. Condominium lawyer Brian Horlick discusses with host Murray Johnson why condominium unit owners should attend their Annual General Meeting. Condominium manager, unit owner and resident Yehudi Hendler joins host Murray Johnson to review what condominium Boards of Directors do and what authority they have during and outside of Board meetings. Bob Girard discusses the role of condominium property management with host Murray Johnson. 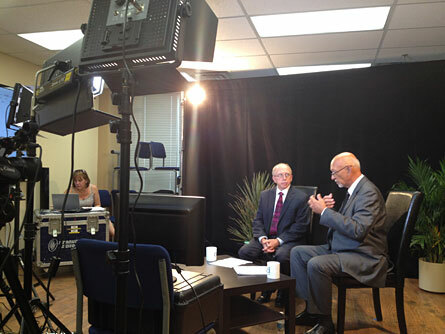 Park Thompson, CPA, CA, ACCI (Accountant) joins host Murray Johnson to review what is including in condominium common expenses. John Warren and Mario Deo join host Murray Johnson to discuss condominium common expenses, including myths and misunderstandings surrounding "low fees" and comparing common expenses between condominiums. The first of CCI's 12 part video series features host Murray Johnson as he talks about the series which is designed to educate people who are considering buying into the condominium lifestyle for the first time, as well as to inform them about moving in and understanding who is who and which obligations will fall to the new owner and which to the condominium governance team. Are you thinking of buying a condo? If so, this video will provide you with some insight into key considerations to keep in mind. Special guest Lisa Kay joins host Murray Johnson for the second episode of CCI's video series to discuss how prospective condominium purchasers can find the right condo for them. Every condominium unit owner should be aware of their role, their rights and their responsibilities. In the third installment of our twelve part video series, Bill Thompson speaks to the role, rights and responsibilities of the unit owners of a condominium. We often hear that Status Certificates are important but they can appear to be presented in another language. For the 4th episode in our 12 part video series, lawyer Armand Conant joins host Murray Johnson to speak about interpreting the Status Certificate. Finances are undoubtedly an important aspect of any condominium community. Unfortunately, they can also be difficult to understand. 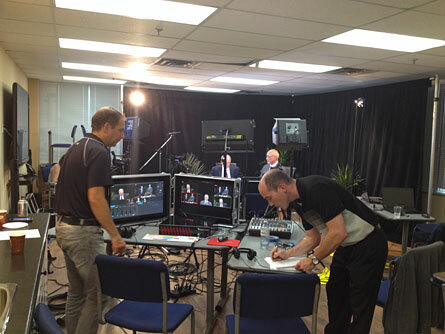 Brian Antman joins host Murray Johnson for the fifth episode of our video series to help us understand condo finances. Moving into a condo is different than moving into a house. Special guest Richard Pearlstein joins our host, Murray Johnson, to speak about some of the unique considerations and planning that goes into moving day in the world of condominiums. Condo life is not free of issues or concerns. Bill Thompson, the President of CCI (National), joins our host Murray Johnson to review where you can go for help when issues emerge in your newly constructed condominium community. Live in a condominium community? Sue Langlois shares tips and insights on how to be a good neighbour. Perhaps the greatest challenge in the condominium dynamic is trying to balance what is best for the community overall against individual interests. A condo mediator (Marc Bhalla) provides some tips and strategies for striking this balance. In our 10th episode, we examine how decisions are made for a condominium community. A reserve fund is a condo's piggy bank but does not exist for use on any given "rainy day". There are restrictions surrounding the type of expenses a reserve fund can be used for, along with best practices to keep in mind to make sure that yours is adequately funded. Living in a condo can be great! Vic Persaud, the Chair of CCI Toronto's Membership Committee, which administers the Condo of the Year program, shares some tips and best practices on how to make the most of your experience in a condominium community. user/YourCondoConnection to easily view new videos as they are released.